Louisville Is For Lovers: 6/19: Juneteenth Celebration! 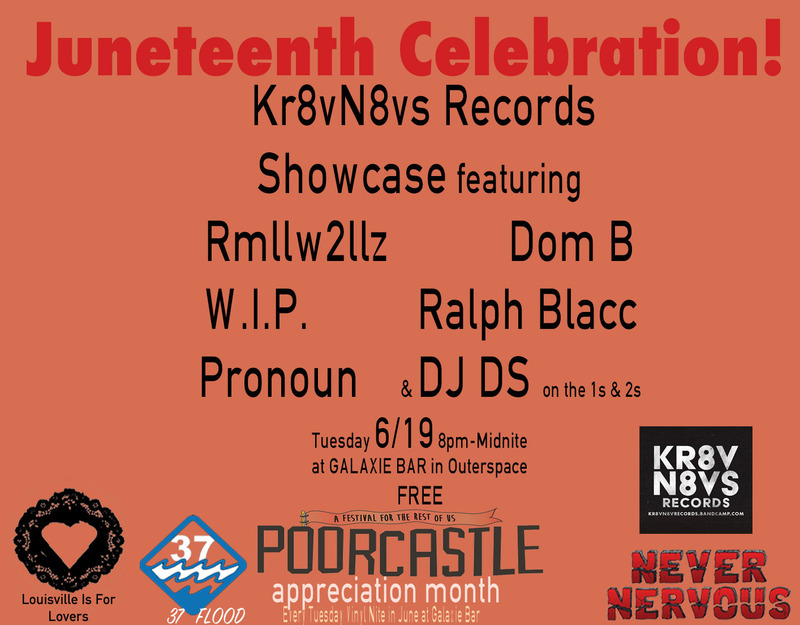 Join us, 37FLOOD, Kr8vN8vs, and Never Nervous on Tuesday June 19th for a Juneteenth Celebration and Kr8vN8vs showcase featuring performances by Rmllw2llz, Dom B, W.I.P., Ralph Blacc, Pronoun, and DJ DS at OuterSpace at Galaxie Bar. This event is Free to all. 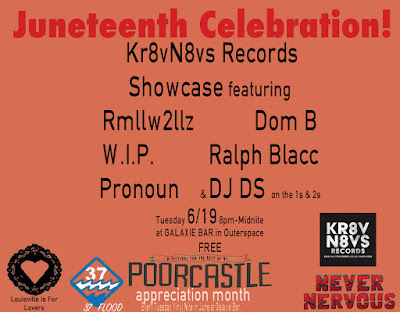 We will also be giving away tickets to see Rmllw2llz at Poorcastle on July 7th! Event info here.